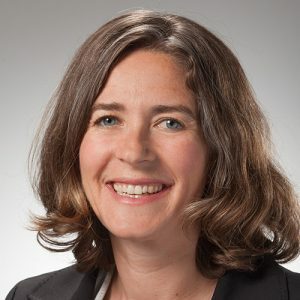 Ara Erickson is the Director of Corporate Sustainability for Weyerhaeuser, one of the world’s largest private owners of timberlands and manufacturers of wood products. Weyerhaeuser manages these timberlands on a sustainable basis in compliance with internationally recognized forestry standards and is proud to be listed on numerous socially responsible investment indices, including the Dow Jones World Sustainability Index. Her team is responsible for managing and setting the direction for Weyerhaeuser’s sustainability strategy, representing the company in external sustainability and environmental forums, and supporting Weyerhaeuser’s forest and wood procurement certification. Ara’s team helps ensure a sustainable supply chain for Weyerhaeuser’s customers, while creating value and new opportunities for the company. Ara’s experience spans from environmental consulting and spatial analysis to community-based, urban forestry and outreach. Outside of work, she spends as much time as she can surrounded by trees and forests, whether it’s in her backyard, at neighborhood parks, or in the stunning mountains of the Northwest. Ara holds an M.S. in Forest Resources from the University of Washington and a B.S. in Resource Management from the University of California, Berkeley.